“But not really!” I thought in my head. 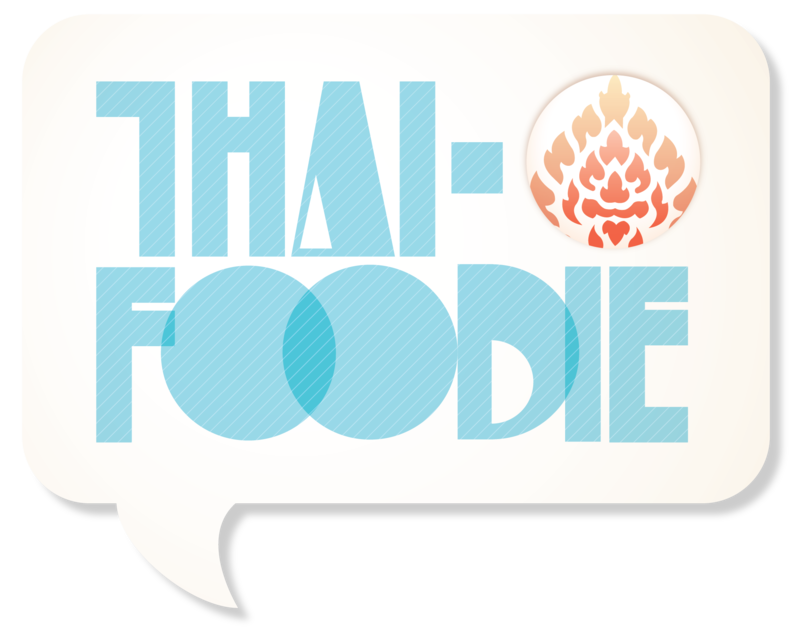 My mumbled reply to my Thai friend/boss, Ja, that I muttered while we were relaxing on the beaches of Hua Hin in Thailand changed my life forever, as you know if you’ve read our Thai-Foodie Love Story. I remember that day of hanging out with my work friends relaxing and eating at the beach so clearly, especially down to the Thai seafood feast we had a few hours after Ja had asked me about meeting her friend. We were sitting at a restaurant right next to the beach and watching the calm waves lap at the shore, feeling rejuvenated after getting away from intense lesson planning and teaching, and getting to play in the sun and waves all day. My Thai friend rattled off to the server all the best looking Thai seafood dishes on the menu, and for the first time I got to experience what became one of my favorite Thai seafood dishes, Thai crab curry, aka Pu Pad Pong Karee. Succulent crab with bits of egg, bright green celery leaves, with heart-warming yellow cozy curry sauce brought even more peace to my soul with every comforting bite. In America, I never liked eating seafood, so I never would have tried a dish like crab curry there. But Thailand had opened my palate to dishes I never thought I would enjoy, but after tasting, absolutely loved. While sipping my mango juice and gazing at the sunset over the Gulf of Thailand, all felt right with the world. I thought a bit more about what Ja had mentioned about her friend who liked foreign girls. I wasn’t into Asian guys, so I could just meet him, and let her know I tried and be on my way. But after meeting her Thai friend, who was not like any Asian guy I had ever met, and sort of in a weird way like with Thai seafood, after my first meeting with him, I never was the same again and fell in love. 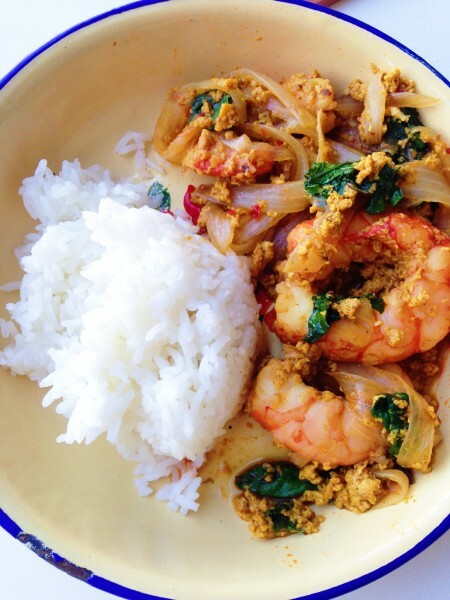 Here’s to hoping your experience with Thai Shrimp Curry Stir-Fry is as connected to a life changing event as mine with Thai crab curry was! 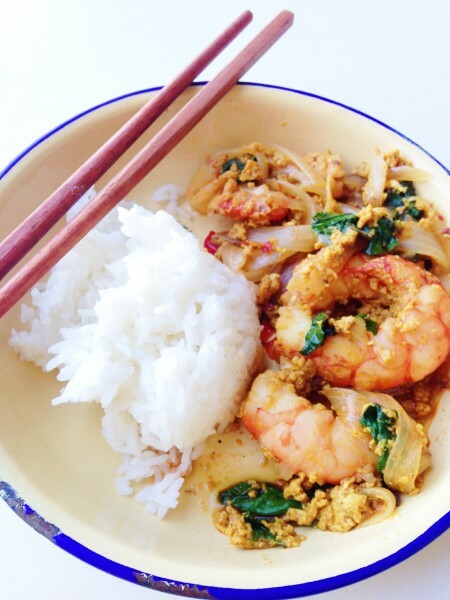 When I’m craving Thai crab curry, but don’t feel like paying a lot for mediocre crab, we use shrimp instead, and it’s amazing. 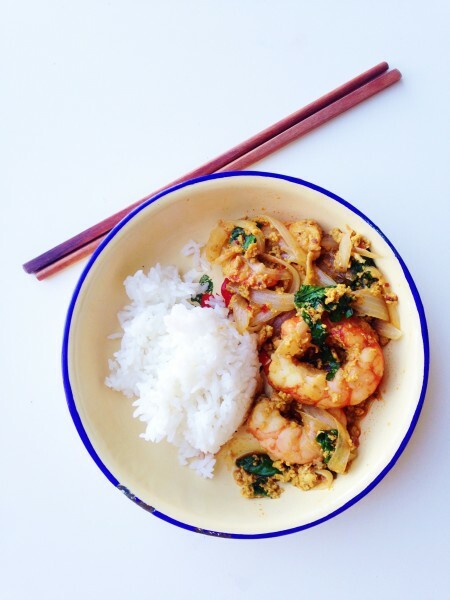 It’s super fast, and crazy easy too-Thai week night meal in under 30 minutes quick and easy! Try it tonight, pin it up for next time, and let me know what you think! 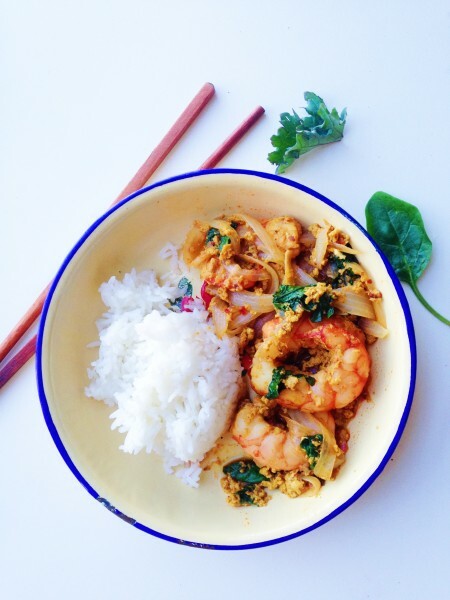 Thai Shrimp Curry Stir-Fry is full of heart-warming flavors and what makes it even more amazing is it takes less than 30 minute from prep to finish! Whisk the eggs, milk, Thai chile paste, curry powder, salt, sugar and 1/4 cup chicken broth in a bowl until combined. Warm the vegetable oil and chile paste oil in a wok over high heat. When the oil is hot, add the garlic and onion until they smell amazing and the onion has softened up some. Add the shrimp and stir-fry until just starting to change color. It should only take about a minute or less. Don't do it for too long since shrimp can overcook quickly. Add the egg mixture and chile strips, and stir-fry until the egg has cooked, and the shrimp are cooked through, about one to two minutes or so. If it looks too dry to you at this stage, and you want it more saucy, feel free to add some more chicken broth. Want to pin the recipe for later? Here is a pin for you! Yay!